Effective in catching clothes moths, the demi-diamond trap is a great way to both monitor clothes moth activity and take action against an infestation before it gets out of hand. The clothes moth traps work by using pheromone pads that attract male carpet moths, trapping them so they cannot reproduce with the females. This is an effective clothes moth treatment and will help you get an infestation under control. The pheromone is odourless to humans, so it won’t leave your wardrobe or clothes smelling foul, but it is irresistible to the male clothes moth. Whilst these traps are good for monitoring levels of clothes moths, they will not eradicate an infestation by themselves. If you notice the number of clothes moths increasing we recommend you use some of our clothes moth killer products to rid yourself of the infestation before the numbers become more unmanageable. Keep these traps up all year round to prevent moth infestations! Always work and good delivery! Always use Demi-Diamond Moth Traps - mothkiller offers a good price and next day delivery! We became aware of tiny cream moths in our house after returning from a friend's house that was infested, with lots of damage to carpets. Having wool carpets I freaked out & researched moth traps. I placed these traps under furniture & in drawers & wardrobes (my husband turned out to have 23 wool jumpers!). In a couple of weeks each trap had caught 10-12 moths. I replaced the cards after 6 weeks & 2 weeks later we have caught no more moths, so hopefully all gone. Brilliant! My order arrived the next day. The moth traps are already actively trapping both clothes and food moths. Fingers crossed for their long-term effectiveness, but without MothKiller all would be lost! I ordered moth traps from this company, they represented better value for money than the same product available through other online sites. Delivery was prompt too. I can therefore recommend both seller and product based upon my recent purchasing experience. We got a moth infestation and looked for help in eliminating it. We got quotes from various commercial companies and they were all quite ludicrous, the most expensive being in the region of £4,000! So we decided to adopt a DIY approach. We ordered loads of the diamond boxes and moth pheromone card inserts, plus some of the strips to hang in wardrobes. They arrived very quickly and we installed them and have sat back happily watching the males fly on to the papers ever since. We also removed all of our carpets and underlay, and instituted an extreme cleaning programme, repeatedly hoovering everywhere like madmen even down the cracks at the side of walls and so on. We saw a massive drop in moths, and reverted to normal cleaning. We were even beginning to consider buying new carpets, but the moths have recently started to return. So we have renewed the pheromone strips and are going back to the extreme cleaning regime as we had obviously missed some spots harbouring the eggs. All in all we think these products are excellent, and are much better for your pocket and your health than the harsh chemicals sprayed by the commercial companies. Good value, arrived quickly Ordered 10x Demi Diamond Clothes Moth Trap Refills to deal with the yearly moth invasion - very reasonable £7.98 (inc VAT) and arrived within three days, much cheaper than overpriced offerings at DIY stores run by a cartel in my part of Hackney! Kudos to mothkiller. Easy company to order from and items quickly dispatched. Good tracking emails sent regularly. Items competitively priced and seem to do their job. Unfortunately moth takes a while to get under control. Not the fault of Mothkiller I shouldn't have let them get a hold! The dispatch and delivery of the products I ordered was excellent. I was kept in the loop as to when to expect the package and it came quickly and well packed. I can't yet speak for the effectiveness of the products themselves as I've only just used them and will have to wait to see whether our moth infestation is a thing of the past. I ordered my moth traps late afternoon and they arrived the next morning - that was impressive! My traps are already full of moths! My one quibble is the cost of postage but I suppose that is First Class. Easy-to-use and buy from website. Excellent price. Rapid delivery. I have used this company for a couple of years now, with some moth issues in London. There is a great range of products, the prices are excellent, the delivery time is very fast, and overall I would say the service is fantastic. When I needed to ask a question about the use of some of the products I had bought, I found the staff to be helpful, knowledgeable and caring. Excellent company, will use again, highly recommended. 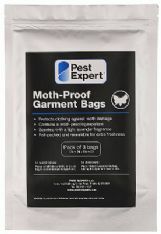 Really effective mothkiller - After suffering an invasion of moths in my kitchen, I used the products bought from MothKiller and within 3 weeks have almost eliminated them. No doubt I shall have to use one or two more treatments but it is the first time I feel they are under control. I am particularly impressed. The moth traps are already actively trapping both clothes and food moths. Fingers crossed for their long-term effectiveness, but without MothKiller all would be lost! Brilliant. I set up the pheromone traps at home, then went out to supper, obviously still with a bit of the sticky stuff on me. Moths at my friends house leapt out to greet me in a somewhat embarrassing manner, and I spent the event dealing fatal blows with my bare hands. The ones at home have now yielded casualties too. A really effective product. The Demi Diamond moth traps were recommended to me by two friends, who had also suffered a previous clothes moth outbreak (something that seems increasingly common in London!). They are a great product for making sure your home stays moth free and I would definitely recommend them. I discovered these demi diamond moth traps 2 years ago now, following a moth infestation which started in a wool carpet before spreading to the clothes in my wardrobe. I bought a collection of products in kit form, also from this company which solved the problem, but the demi diamond moth traps are something I continue to leave around the home, enabling me to detect clothes or carpet moths before they become a problem. Excellent product and highly effective.